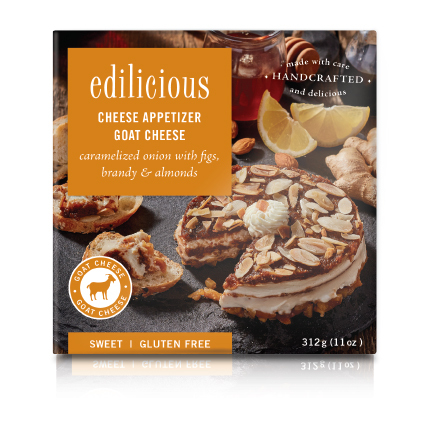 Ready to make the jump from Farmer’s Markets to Grocery Stores, Edilicious asked us to create packaging that would help showcase the beauty of their layered cheese appetizers. The design was created with minimal use of type and graphic elements to allow warm, rich photos to steal the spotlight. 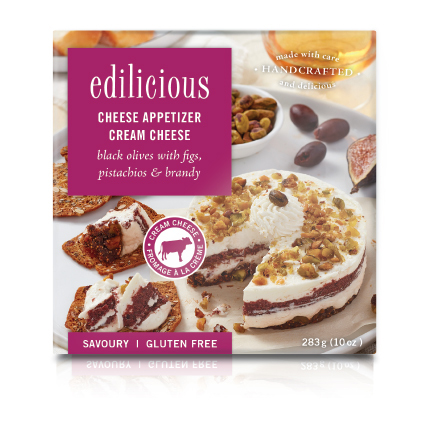 Each flavour appears in the family twice - once as a goat cheese, and once as a cream cheese. Earthy tones and products shot on darker wood backgrounds distinguish the goat cheese, and brighter white woods and lighting are used for the cream cheese. Both styles allow the colours of the appetizer to draw the eye, and create appetite appeal.